Chartdirector® Charts - simplexnumericas Webseite! 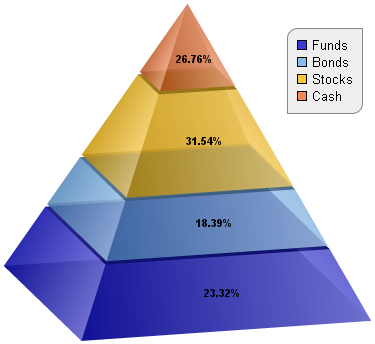 A 3D pyramid chart with gradient shading, and with labels at the center and at the right of the pyramid. 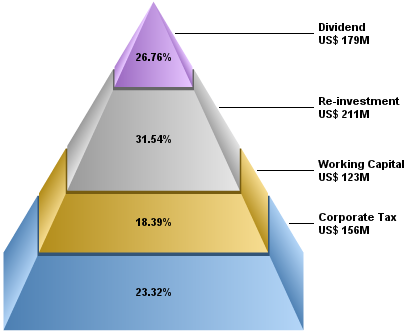 A rotated 3D pyramid chart shaded with semi-transparent gradient colors, with labels at the center of the pyramid, and with a legend box. 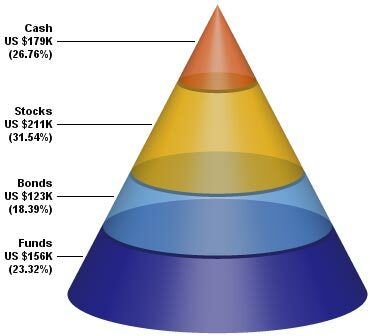 A 3D cone chart shaded with semi-transparent colors and lighting effects, and with labels at the right of the cone. 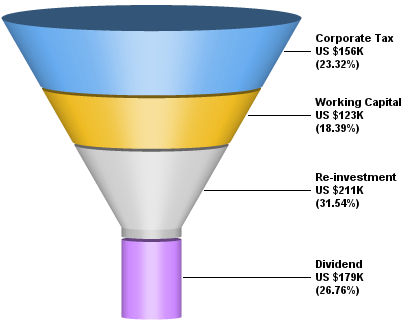 A 3D funnel chart with lighting effects, and with labels at the right of the funnel.